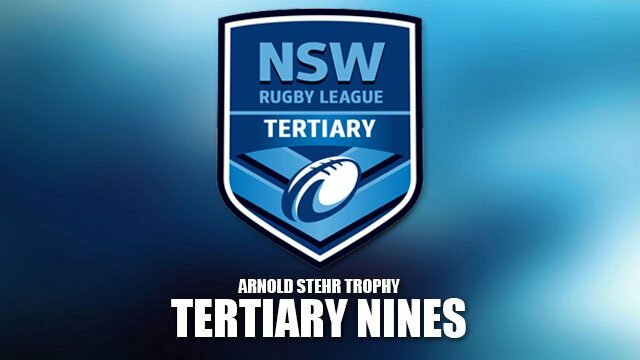 The annual Nines Competition was played at Norford Park on Saturday 19 March 2016 with UTS Tigers defeating West Sydney U 14-10. The competition this year was played in perfect football conditions and featured teams from all clubs that will be competing in the 2016 Tertiary competitions except Uni of Canberra, which was playing in its annual fund-raising trial at home and so unable to make the journey to Sydney. Strong player interest enabled ACU, Cumberland College, Tafe WSI Polecats and UTS to field 2 teams with Sydney Uni and Western Sydney Uni completing a 10 team programme. All teams playing 3 comp. games. In the end 5 teams finished equal with 2 wins, but on points differential ACU 1 finished 1st, Cumberland 1 and UTS 1 were equal 2nd and West Syd U 4th – Syd Uni and Polecats missing the cut. In the semi finals West Syd U 16 defeated ACU 1 14 and UTS 1 24 defeated Cumberland 1 14. The final was a hard fought win to the UTS team ,who took an early lead and despite a spirited performance from West Syd U, remained in front for the entire match to take home the shield for the second year in a row. Thanks to Comp sponsors ISC who provided a $1,200 voucher to winners UTS and a $300 voucher to West Syd U.